Hello Beauties! I hope you're all having a great week. Yesterday I finally managed to find an hour with some decent lighting to take blog photos, I hate all this gloomy weather we've been having and it's making it so difficult to fit blogging in around Uni work, god knows what we're all going to do when we get further into winter time #BloggerProblems! Anyway, primer has to be my most neglected beauty product, I just completely forget about it every morning when I'm applying my make up, but I'm trying to change this. After being lectured by several bloggers/youtubers/makeup artists about the importance of primer, I've been trying to incorporate it into my beauty routine more and more. 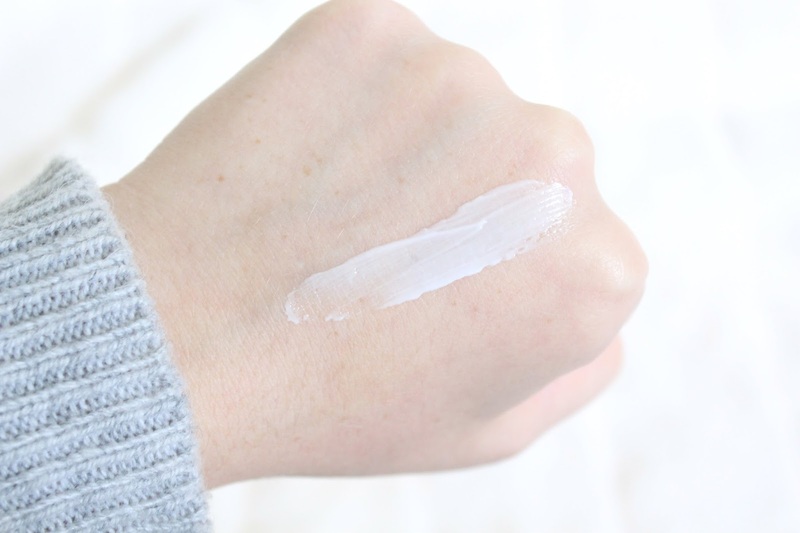 To start off with, I thought I would delve into the world of drugstore primers to see if there were any that made a difference to my make up without making too much of a difference to my bank balance. I have to say, the amount of primers available at drugstore prices is a little disappointing. Either brands just don't have them, or they aren't readily available on the beauty stands like they are with some of the more higher end brands. 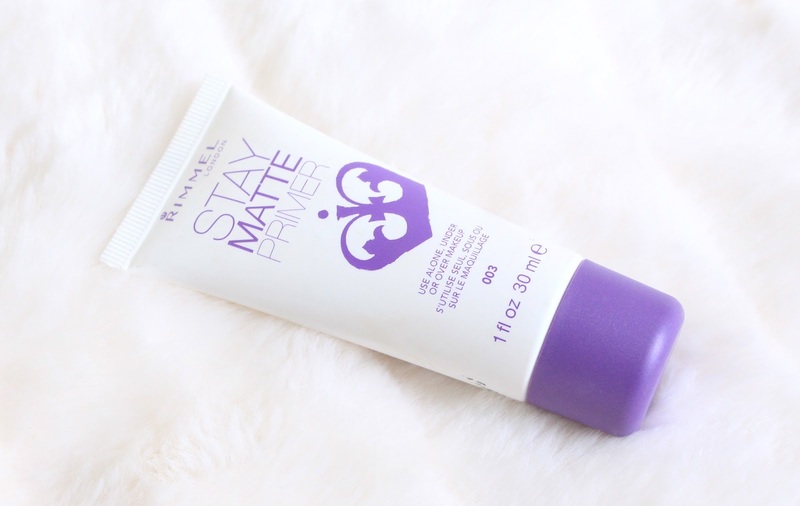 However, I did manage to find this Stay Matte Primer from Rimmel for just £5. I have quite oily skin and large pores, so I wanted something that would smooth out my skin, but also help control my oiliness and therefore make my foundation last longer. Rimmel claim that this primer controls shine for up to 8 hours, and that the ultra lightweight formula minimises pores - sounds perfect, right? The formula however, is not 'ultra lightweight'. Instead it is quite a thick white cream formula which does take a minute or two to sink into the skin and it didn't really do anything for my pores, I found the Maybelline Baby Skin and Benefit Porefessional did a much better job at minimising pores. On application my skin did feel smooth though, and it was visibly mattified so I thought that me and the Stay Matte Primer were going to get on brilliantly. However, as the day wore on, my foundation started to go very patchy over the areas on my face where I had large pores, which actually emphasised them - not a good look! It also didn't do much in the way of controlling shine, and the '8 hour' claim made by Rimmel was nowhere close to how long my skin stayed looking matte. It did control my shine a tiny bit, and did prolong my foundation wear across my forehead and over my cheeks, but the patchiness it left on around my nose and parts of my cheeks just isn't worth it for me, I think there must be something better out there! At only £5, I'm not too annoyed that this didn't work however I would love to know of any good drugstore primers that you know of - I'm on the hunt for the perfect one! I've been quite disappointed in Rimmel primers in the past, so it's sad to hear this one isn't great either. I'm currently using 3 and I like them all. Avon magix and Superdrug B prepared, are both silicone type feeling ones and make your skin feel super smooth and soft, and I also have the Max Factor Facefinity one which holds on to my make up all day but doesn't have such a silicone feel. I use the tinted Rimmel primer and it has worked well for me. I would imagine pricier products are better, but I like this for the affordability. I also have a tendency to rub off all of my makeup (somehow) regardless of the product. Too bad it didn't work out as well as it promised. I have large pores and oily skin as well and I'm loving the L'oral Skin Perfection Magic Touch Instant Blur primer. Great honest review! I love the Rimmel Stay matte foundation just like Becky so would have thought this primer would be great too. 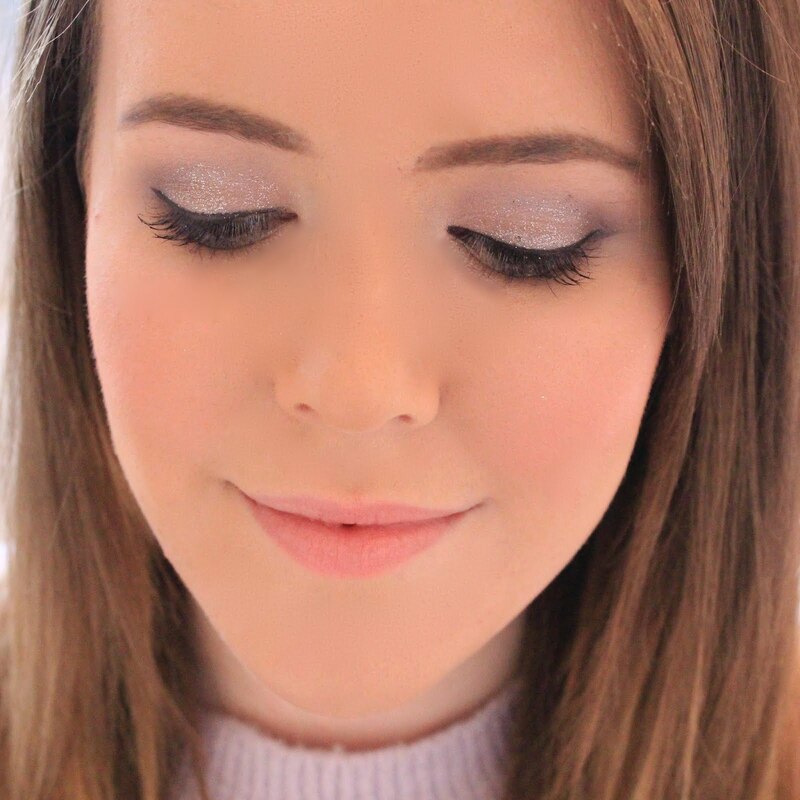 My absolute fav primer has to be Bare Minerals, but it's definitely not a budget buy! For a cheaper alternative I really like Garnier perfect blur, which is around a tenner in Boots.